Purple Plum Fairy: Reasons Why I Love NUFFNANG? N—uffnang brings out the best in me. They have the coolest contests in town. I’d like to say that after winning in one of their contests last January, my self-confidence somehow came back. I’ve been writing for the past decade for print, but decided to stop for personal reasons. Yes, reasons that had somehow affected my self-esteem. Blogging helped me release my emotional stress and I’ve learned more about myself. Joining the Nuffnang community gave me reasons to pursue my real passion and first love—writing. This time, as a blogger, without having an editor, I could freely write anything I want without having to please an editor. U—always comes first with Nuffnang. This is something I could feel each time I get invited to their events. I feel special and privileged because I know pretty much I’d be having fun meeting other bloggers in the blogosphere. Being invited to Nuffnang’s events gives me the rare chance to interact with them on a personal-basis. I love it—I could feel their warmth and sincerity, because most bloggers treat you as a family. That’s why I always look forward to join their activities each time I’m given an invite. F—abulous prizes. That’s what Nuffnang promises those who win in their contests. Joining their contests are usually easy, you simply had to blog about it. And as a blogger, it’s something that you would usually do. But their prizes had really been great with all their sponsors and everything. What I love most about them, they have also online contests where they would base the winners on their blog contents unlike other contests on the Net that merely rely on the number of “LIKES”. F—riendly staff from Nuffnang. Yes, they have really friendly staff like Ms. Trixie esguerra and Ms. Anne (sorry, I forgot her surename). Both should be commended for a job well done. I had probably been one of their major pains since I must have annoyed them for pestering them as they answered all my queries through SMS and emails. But both Nuffnang ladies, patiently answered all of my questions. N—ever cease to help bloggers to earn online. I haven’t officially earned from blogging online. I know a lot of friends who did, and they were really satisfied with Nuffnang’s ad rates. They help a lot of single moms or stay-at-home mothers who work from home to earn money. And for me, that’s really something being there for your children while working at the same time. A—blessing for all bloggers indeed. Need I say more? N—o amount of words can truly make me express how I feel about being part of Nuffnang’s online community. As a neophyte blogger, I really am thankful for giving me my time to shine. G—rateful to Nuffnang, that’s what I’ll always be. Am proud to be a Glitterati. 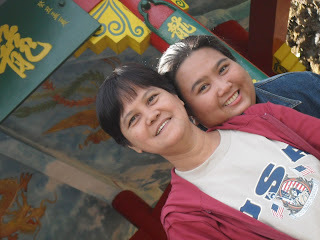 I hope to be invited to the upcoming Nuffnang Family Day this May 28, 2011. I’d love to spend the entire day with both my family. I’d want them to experience the love and support that the Nuffnang community had given me. It promises a day of bonding, interaction, and camaraderie. It would surely be fun and I’d like to enjoy that day with my family. If ever, I’d get lucky and be invited, I would bring with me my Mom and my nephew (whom I treat as my own son). 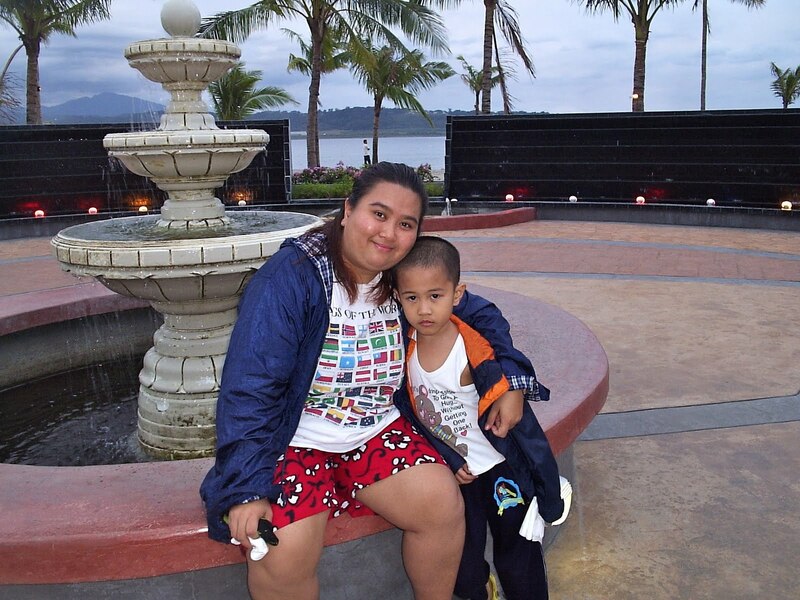 My nephew Kyle hadn’t been to Tagaytay and this would give me the opportunity to bring him there. I’d love to bond with him at picturesque Tagaytay Crosswinds before classes officially starts this June. I’m sure my Mom and Kyle would be happy. So I’m really keeping my fingers crossed. We'd be happy to ride and hop on the Nuffbus that will bring us all to Tagaytay Crosswinds.